Low Carb Chicken Philly Cheesesteak is the perfect recipe for a delicious, health and quick-fix meal. In less than 30 minutes, you can enjoy a diabetes-friendly meal the whole family will love. This recipe is perfect if you are cooking for either low carb eaters or people with diabetes and also for those who have no diet restrictions. Just add in a hoagie roll or hamburger bun and dinner is done. I’m back with more philly cheesesteak!!! Now do you believe me when I say “I’ll never give up my quest for the ultimate low carb philly cheesesteak recipe”? First there was Low Carb Philly Cheesesteak Cups, next there was Philly Cheesesteak Stuffed Mushrooms and then Low Carb Philly Cheesesteak Bowl! Now my fellow cheesesteak lovers, I give you my low carb chicken-based version. When your olive oil is heated, add the chicken slices and spread them out. I used a large skillet here and it allowed enough room for 2 large chicken breasts. Spread the chicken slices out and turn to get all sides brown. 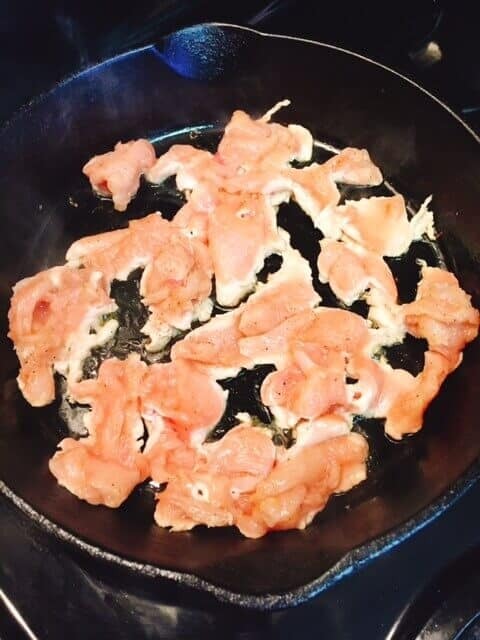 After your chicken has browned, remove it from the skillet and add back more olive oil. It won’t take long for the oil to heat, so go ahead and get those veggies in and stir until soft. (I used frozen veggies to save time, feel free to use fresh!) Add the chicken back to the skillet with the peppers and onions and stir to combine. Guess what? You’re almost there!! Now lay sliced cheese over all and put a lid over this to melt. (Take my advice and try not to use a clear lid because once you see that cheese starting to melt it gets way too tempting…) Here I used sliced provolone, but you could also use mozzarella, pepper jack, etc. Family friendly low carb chicken philly cheesesteak comes together in a snap. Serve in bowls for the low carb eaters and on a hoagie bun for everyone else. 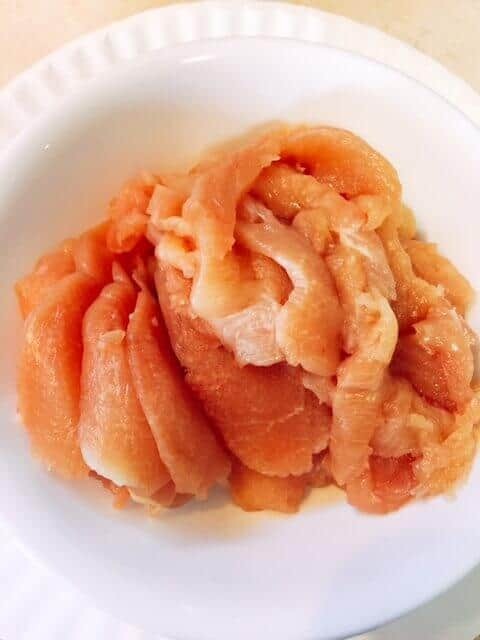 Slice chicken breasts into very thin pieces (freeze slightly if desired to make this easier) and place in a medium bowl. Add next 4 ingredients (worcestershire through ground pepper) and stir to coat chicken. Heat 1 teaspoon olive oil in a large (9") oven proof skillet. Add chicken pieces and cook until browned -about 5 minutes. Turn pieces over and cook about 2-3 minutes more or until brown. Remove from skillet. Add remaining 1 teaspoon olive oil to warm skillet. Then add onions, bell pepper and garlic. Cook and stir to heated and tender- 2-3 minutes. 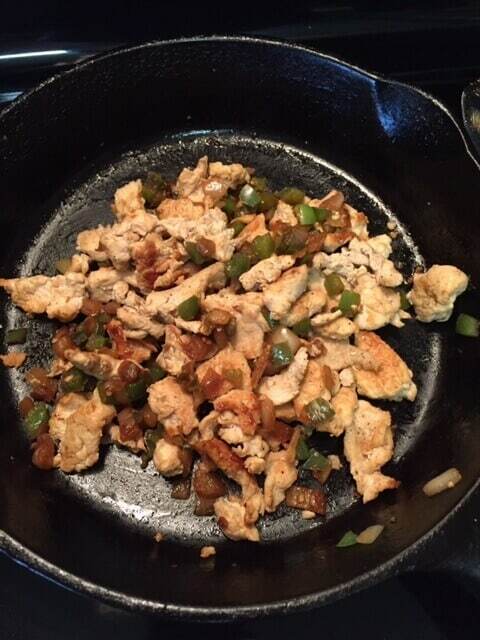 Turn heat off and add chicken back to skillet and stir with veggies to combine. Place sliced cheese over all and cover 2-3 minutes to melt. Note: Serve up in bowls for those eating low carb. Serve with warm hoagie rolls for others. 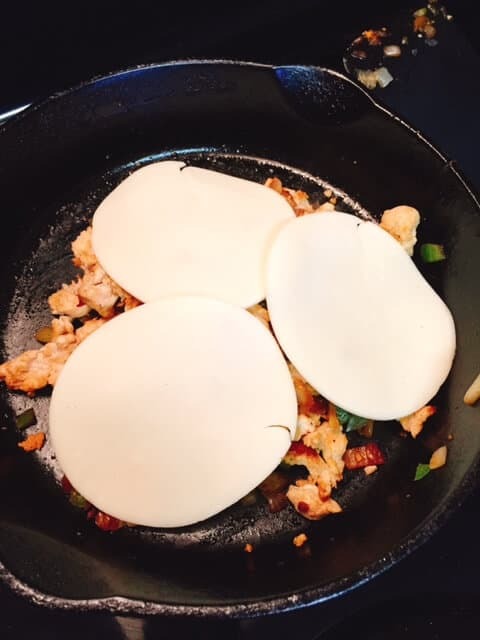 0 Response to "Low Carb Chicken Philly Cheesesteak Bowl"